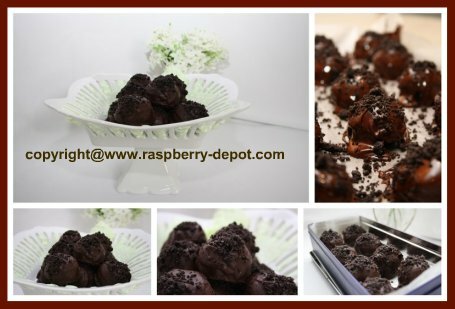 This Collection of Easy Raspberry Truffle Recipes, with pictures, are easy to make at home; for Christmas, for gifts, or for ANY time of the year! These Homemade Truffle Recipes make the best, bite size, chocolate truffles right in your own kitchen! Make them for your family and friends (and for YOU, of course;), or gift box them for a gift for that someone special! 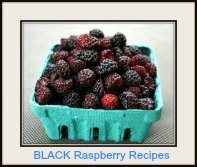 The truffle recipes in this Collection include berries, so they just seem that much healthier ... lol! At least they contain fruit! 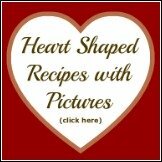 Included in this Collection of Recipes are Raspberry Fudge Recipes. There is perhaps nothing so delightful as presenting a treasured friend a box of your own homemade fudge! Make some today! Fudge is really not that difficult to make at all, and the decadent taste is worth every effort. The chocolate truffle was first created in France in 1895, and, not surprisingly, they have become a popular confectionery in many parts of the world. The American, Canadian, European and Swiss Truffles differ from each other in shape and ingredients. Did you ever wonder why they call these spherical shaped, chocolate confectioneries, (traditionally made with a center treat), and coated in chocolate, cocoa powder, or chocolate sprinkles - "truffles"? Chocolate truffles are named after a prized, edible mushroom, also called "truffles", which are considered an (expensive) delicacy in many parts of the world. Common truffle fillings (center treats), are cream, melted chocolate, caramel, nuts, almonds, berries, fruit, nougat, toffee, and mint. Some truffles also contain liqueur. Most basic truffle recipes can be adapted to substitute a center of your choice. 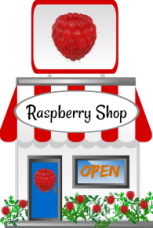 For example, you can change the ingredients from "dried raspberries" to another dried fruit of your choice. 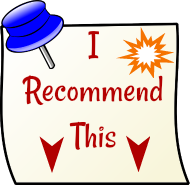 Truffles recipes can also be modified by rolling the "balls" into cocoa, powdered sugar, toasted coconut, chocolate sprinkles, coloured, or any other type of sprinkles, or any crushed nuts or your choice. You can also use, for example, coloured sprinkles to match the theme colour of the special holiday, or event such as Weddings, Showers, Anniversaries, etc. You can also very easily double, or triple, these recipes to make larger quantities of these mouth-watering treats. Truffles can be stored in an airtight container at cool room temperature for a few days.